This photo is a tribute to one of my favorite Orlando restaurants. 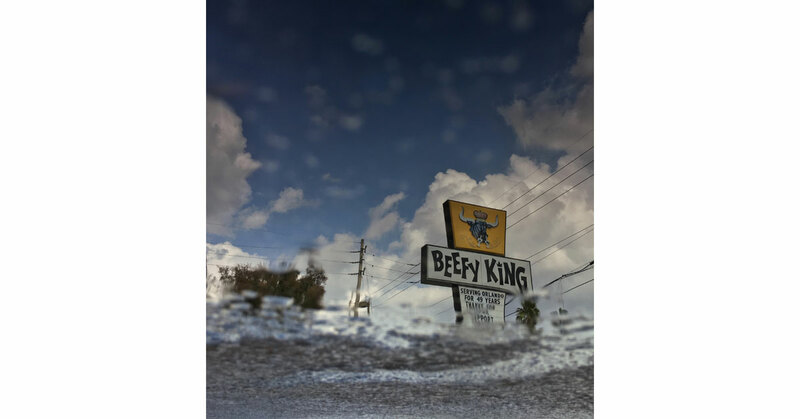 Opened in 1968, Beefy King remains true to its origins, and its sign is iconic to me and a lot of people in Orlando. On this day, the clouds were white and fluffy, creating a great backdrop for the sign, which stretches tall into the sky.